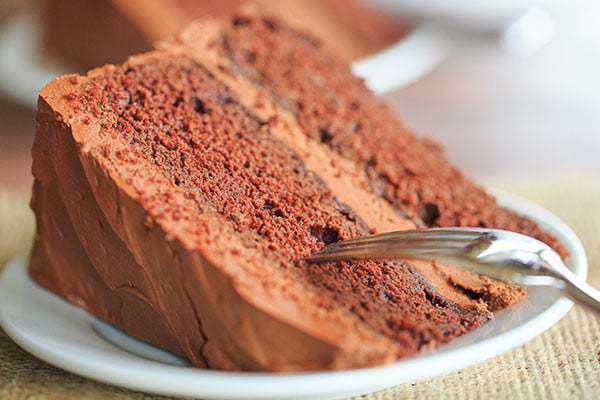 This chocolate cake recipe is wonderfully moist and tender; it’s filled and frosted with a silky smooth chocolate frosting. Are you a cake person? Are you a decidedly white, yellow or chocolate cake person? I absolutely adore chocolate cake, and I’ve certainly made my fair share of both simple and extravagant chocolate cakes throughout the years. However, only once (once!) 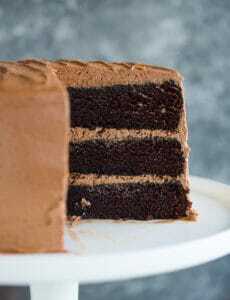 have I made a classic chocolate layer cake with chocolate frosting. It was quite a long time ago, and I have been on the hunt for a fantastic chocolate/chocolate cake combination that was fairly simple in taste, not overly sweet or rich, and that could stand on its own (i.e. no huge scoops of ice cream necessary!). THIS IS IT! I love having Sunday dinners each week if for no other reason than to have an excuse to try a new dessert and have a gaggle of people ready and willing to eat it :) I’ve had chocolate cake with chocolate frosting on the brain, and thought Sunday would be the perfect opportunity to make one. I typically find that cakes made with vegetable oil come out much more tender and moist than those that rely on creaming butter and sugar. 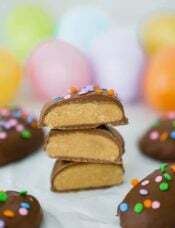 I was eager to try this recipe given that there is no vegetable oil, but instead of the butter being creamed, it is infused into the egg, sugar and chocolate mixture. 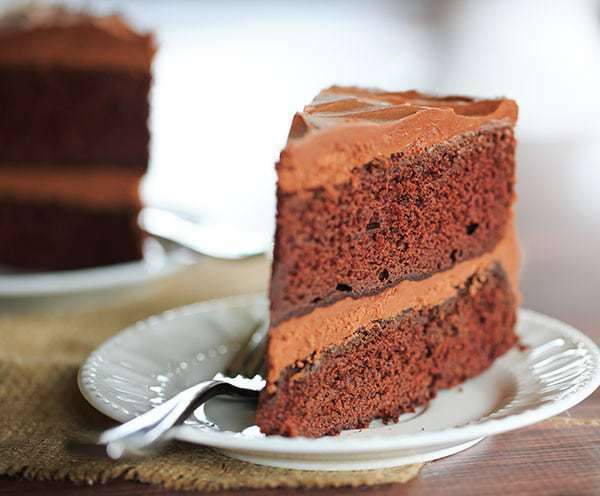 It totally works – the chocolate cake is the perfect texture – it’s super moist and has just the right amount of chocolate flavor. 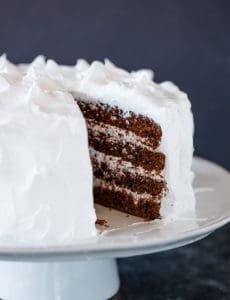 The cake is topped with a frosting that tastes like a velvety smooth chocolate whipped cream; it’s lush and buttery and not at all sickeningly sweet. I wanted to eat it by the spoonful. 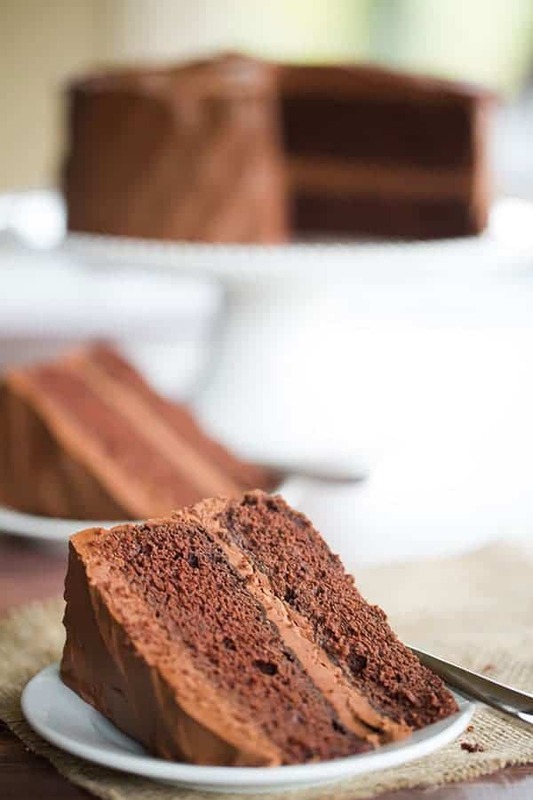 This chocolate cake was a huge favorite… it’s a simple classic that works for lunch with friends and family, as well as the fanciest of dinner parties. 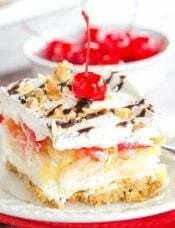 It’s the perfect dessert for making people feel comfortable and special all at the same time. 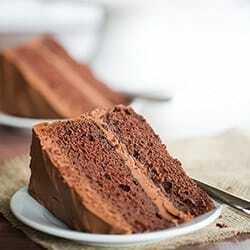 A wonderfully rich and tender chocolate cake recipe filled and frosted with a silky smooth chocolate frosting. Make the Cake: Preheat oven to 350 degrees F. Grease and flour two 9-inch round cake pans. Combine the chocolate, cocoa powder and hot water in a medium heatproof bowl; set the bowl over a saucepan with 1 inch of simmering water. Stir the mixture occasionally with a rubber spatula until the chocolate is melted and smooth. Add ½ cup of the sugar to the chocolate mixture and stir until it is thick and glossy, 1 to 2 minutes. Remove the bowl from the heat and set aside to cool to room temperature. In the bowl of a standing mixer fitted with the whisk attachment, whip the eggs and yolks on medium-low speed until combined. Add the remaining 1¼ cups sugar, increase the speed to high, and whip until fluffy and lightened in color, 2 to 3 minutes. Replace the whisk with the paddle attachment. Add the cooled chocolate mixture to egg mixture and mix on medium speed until thoroughly incorporated, 30 to 45 seconds, scraping down the sides of bowl as needed. Add the softened butter one piece at a time, mixing about 10 seconds after each addition. Combine the buttermilk and vanilla extract in a measuring cup. Add one-third of flour mixture followed by half of buttermilk mixture, mixing until incorporated after each addition (about 15 seconds). Repeat using half of remaining flour mixture and all of remaining buttermilk mixture (the batter may appear separated). Scrape down sides of bowl and add the remaining flour mixture; reduce the speed to medium-low and mix until the batter is thoroughly combined, about 15 seconds. Mix the batter a few times by hand with a rubber spatula to incorporate any remaining flour. Divide the batter evenly between the prepared cake pans and smooth the batter in an even layer. Make the Frosting: Place the chocolate in a medium heatproof bowl set over a saucepan with 1 inch of barely simmering water, stirring occasionally until completely melted and smooth. Remove from the heat and set aside. Empty the water from the saucepan and wipe it dry with a paper towel. Heat the butter in the saucepan over medium-low heat until melted. Increase heat to medium; add the sugar, corn syrup, vanilla and salt, and stir with a heatproof rubber spatula until the sugar is dissolved. Remove from the heat. Add the melted chocolate, butter mixture, and heavy cream to the bowl of a standing mixer and stir with a spatula to thoroughly combine. Place the mixer bowl in an ice bath and stir constantly with a rubber spatula until the frosting is thick and beginning to harden against the sides of bowl, 1 to 2 minutes (the frosting should be 70 degrees F on an instant-read thermometer). Place the bowl on the mixer fitted with the paddle attachment and beat on medium-high speed until the frosting is light and fluffy, 1 to 2 minutes. Stir with a rubber spatula by hand until completely smooth. 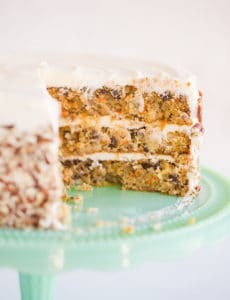 Assemble the Cake: Place one cake layer on a serving platter and spread 1½ cups of the frosting evenly across the top of the cake. Place the second cake layer on top, then spread the remaining frosting evenly over the top and sides of cake. 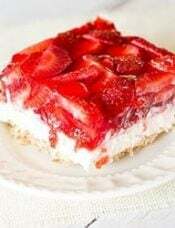 Leftover cake (or cake made ahead of time) should be refrigerated and brought back to room temperature before serving. I made this for a friends birthday yesterday and OMG this is the best chocolate cake i have ever made or tasted. And everyone who tried it said the same! Frosting is a bit of extra effort but soooo worth it. My friend only wanted a small cake so i halved the recipe and baked it in one deep 6 inch tin then cut it in half. If you’re considering making this, don’t think, just do it. Hi I wanted to ask if there are any substitutions I can use for light corn syrup? Thank you!! Hi Tina, You could use Lyle’s Golden Syrup if you’d like! Unfortunately could not find either at my local store :( Any chance there are other substitutes or I can omit it? Google search says a substitute can be sugar in hot water – does that sound like it could work? Hi Tina, You can just omit it… it makes the frosting a bit more satiny, but it won’t hurt to leave it out. I came across this recipe on IG and I was wondering, could this recipe be made with Chocolate Powder? I only ask because I have a ton of really good quality chocolate powder that i’d like to use but don’t know if it would be okay to substitute. I’m not a really good baker. My husband’s 33rd bday is coming up and I’d like to surprise him with a good chocolate cake. Do you have any suggestion of recipes using chocolate powder? and is it okay to substitute it here? Hi Lupe, I’m not quite sure what chocolate powder is? The recipe does include some cocoa powder, along with actual chocolate. Hi! Which Dutch processed cocoa do you prefer? Thank you! Hi Carolyn, I like Valrhona – you can buy it on Amazon. Hi sorry to ask another question but can I substitute sour cream for buttermilk? I’m planning to make this for my son’s birthday and really need to make sure I nail it! Do you think this will work with a salted caramel buttercream filling? Thank you so much for this recipe! I have made the frosting once and it was so good! I was wondering if I could use white chocolate for the frosting instead? Would it still come out just as good? Hi Sophy, Hmmm I haven’t tried using white chocolate, so I’m not sure how it would turn out, but definitely let me know if you try it! After heating the butter and cholate mixture , do i have to cool it be for adding the cream in. Hi Keja, Yes, as is noted in the directions, you should cool it to room temperature. Can I make this recipe for cupcakes? I am making a baby cake for my son’s 1st birthday party and would like to use the leftover batter for cupcakes. If so, what do you think would be good baking times for the cupcakes? Hi Lisa, I haven’t tried this recipe as cupcakes – if you do, let me know how they turn out! I would probably start checking the cupcakes around 15 minutes. Hi Michelle, I did use the leftover batter for cupcakes and they came out great! 15 minutes was dead on as far as baking time. Everyone loved them! Thanks! Michelle, thank you a million times over for this recipe. I just made it today and it turned out fantastically! 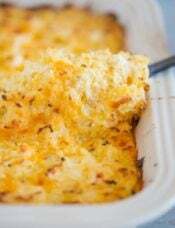 Thank you for this blog; it’s a wealth of wonderful recipes that our family loves. Hi Jared, I’m so glad you enjoyed the cake! Thanks so much for taking the time to share your feedback! Chocolate cake with chocolate frosting is a true classic! The buttercream frosting is what absolutely makes it. I like to mix my chocolate icing with a little instant coffee to bring out the chocolate flavors. FYI. I made your cake. With a few minor adjustments. First I added a little more sugar to the cake. Just about a fourth cup. Also,,I used cake flour. Made a very tender cake. Second, I cut back on the chocolate for the icing. Just by four ounces and added a little confectioners sugar. You can see I like my cake a little sweeter. Also, I cleaned out my chocolate stash of semi sweet and bittersweet chocolate. A great cake and frosting. Loved the whipping cream in the frosting. Will definitely put it in my repertoire of special desserts. Thanks. 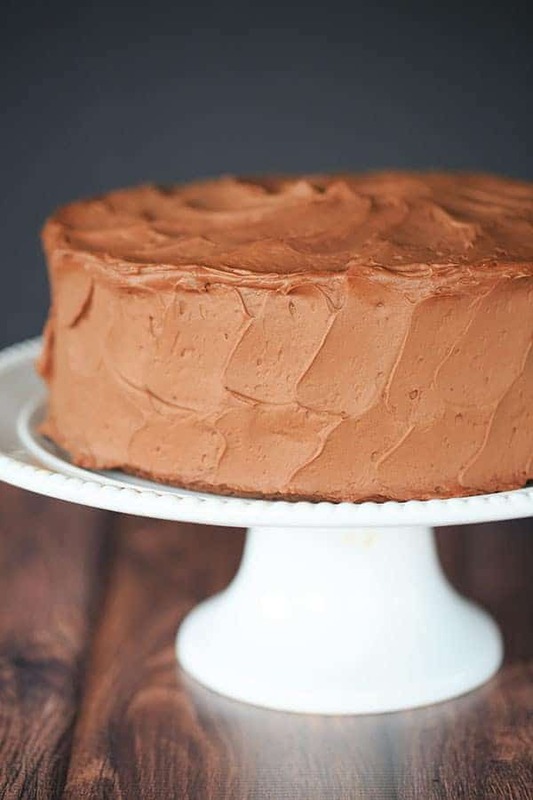 When I first saw the picture of this cake I thought “that frosting looks like the kind my nana used with her chocolate cake!” I immediately scrolled to that part of the recipe and was a teensy bit glad it’s not because my family has hoarded the recipe for years. I’ll have to try your recipe next time I’m craving an old fashioned chocolate cake, but will tell you that my nana’s Best Chocolate Frosting recipe has only three ingredients and is TO DIE FOR yummy! Semi-sweet chocolate, butter and an egg. That’s it. Super easy, if not a tiny time consuming, and oh so worth it. 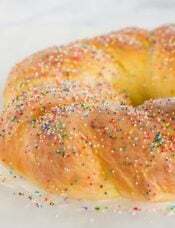 And it looks just like what you have on your cake so I may be doing a comparison next time. Wow.. The cake looks amazing! I think I will try the recipe for the upcoming birthday party of next sunday – chocolate time..! However, I have one problem: Unfortunately I cannot find any corn syrup here in Switzerland. 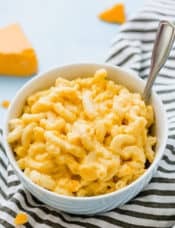 I tried a couple of DIY recipies which unfortunately revealed themselves as a biiig disappointment.. Can I simply omit the corn syrup or can you suggest any equivalent substitution? Thank you! Hi Simona, Are you able to get Lyle’s golden syrup? If so, you can use that! Hi Michelle – I think I saw the Golden Syrup in a delicatesse store nearby – thank you so much for your help!! This looks like such a tasty cake! I’ll look forward to trying this out. I wonder if you have any ideas for a “first birthday” cake? Something fun and tasty… without chocolate, nuts, or other things they say little ones should avoid? Hi Aimee, What about a simple yellow cake with a vanilla frosting? Looks great, though I always use coffee in place of water in chocolate recipes. You don’t taste the coffee, it just intensifies the chocolate flavor. This cake is going on my Sunday dinner menu this week, thanks! Classic cakes like this are the best!! Love that fat frosting layer in the middle! Chocolate cake looks luscious!! Yummy! My mouth is watering! This is a classic but still a stunning desert! I love chocolate way too much. This cake looks positively sinful!